I have been in Bangalore for more than 10 years. I love this city because it gave a me an identity, comfortable job, new relations and many more. But what I don’t like is the garbage and long time wait in the traffic. 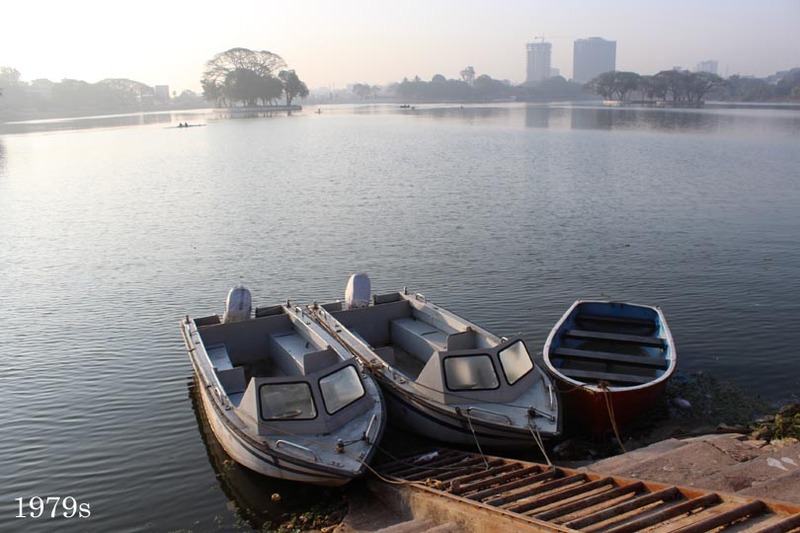 Ulsoor Lake isn’t a tourist destination. I wouldn’t recommend Ulsoor Lake to a hurried tourist at all. they can actually cover more interesting place in a time spent here. 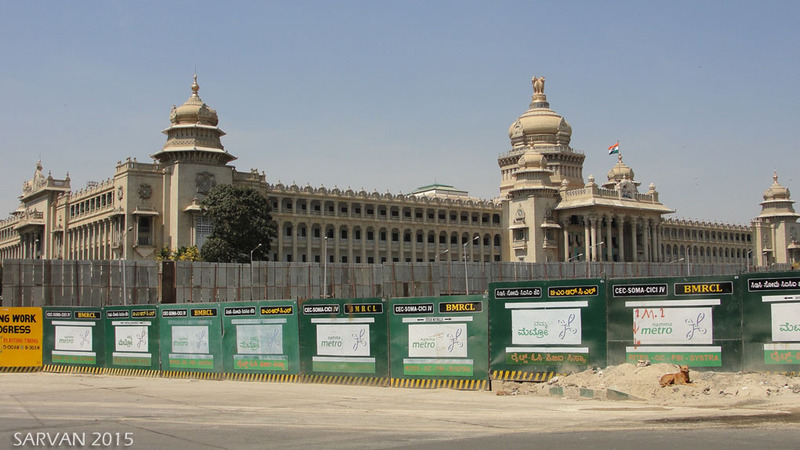 Bangalore has so many places to cater to the tourists like heritage buildings, museums, malls and lot more. 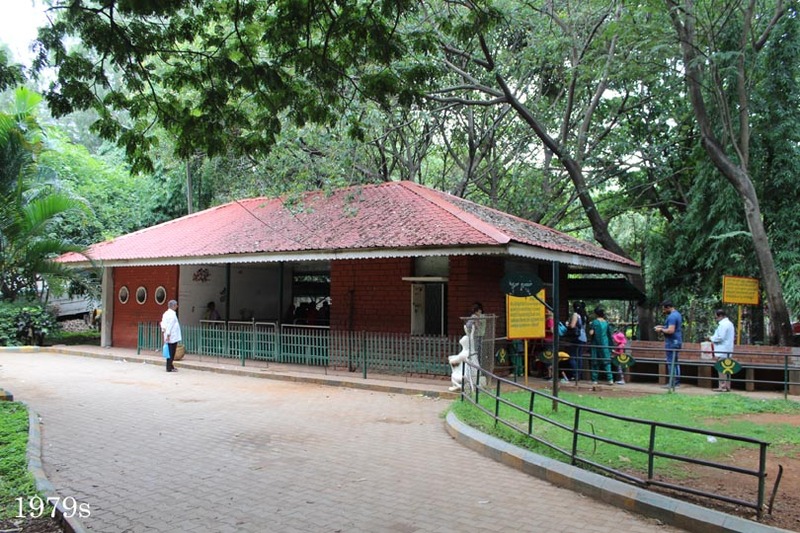 The Lalbagh Botanical Gardens in Bangalore is not only a tourist place but also a place to trade plants. 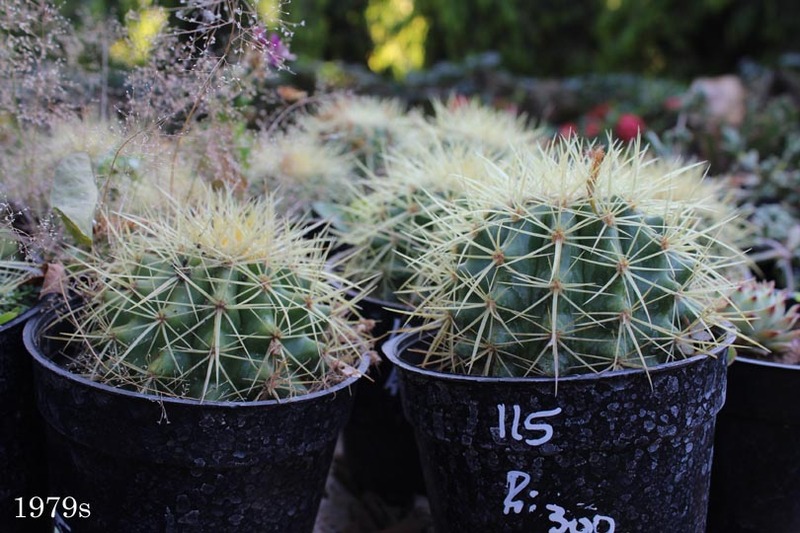 The nursery there sells so many varieties of plants, it is no doubt, is a one stop solution for the plant buyers in Bengaluru, be it for the ornamental plant like Barrel Cactus or regular plants for commercial purpose. 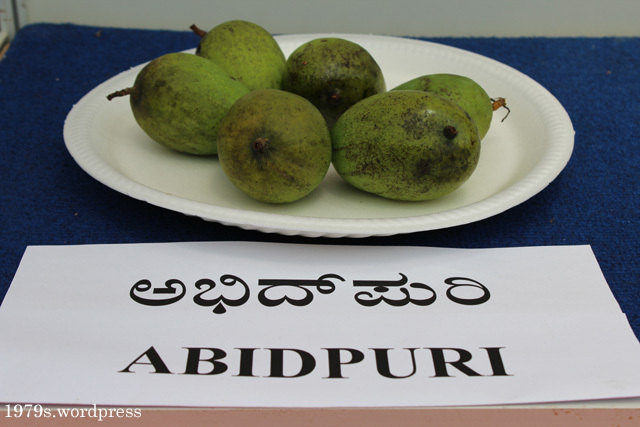 I present you the photographs of 37 varieties of Mangoes which were displayed in Lalbagh Botanical Gardens during the annual Mango and Jackfruit Fair 2015. The fair was conducted in the month of May-June 2015. Be it for shopping, food or religious activity, Shivajinagar is one of the happening places in Bangalore. Especially the surroundings of St. Basilica and the Russell Market are packed with people during the peak hours. It’s business all the time here. 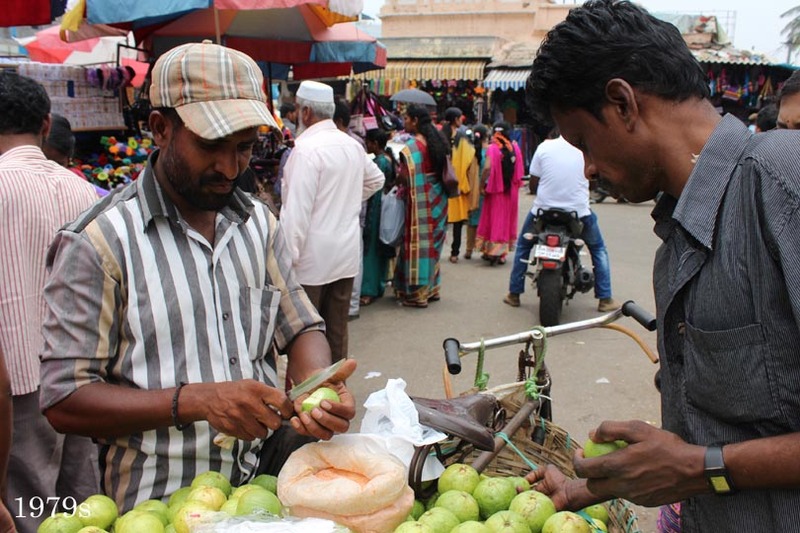 This image of Guava seller was captured right in front of the St. Basilica, Shivajinagar. Guava is a wonder fruit; it is good for our digestive system. But eating too many guavas isn’t a good idea. Bengalureans may be enjoying the metro ride, travelling to work or shopping, but the most enjoyed train ride seems to be the one in Jawahar Bal Bavan – The Toy Train. I was fortunate to visit the Iyengar Bakery in Cox Town, Bangalore. 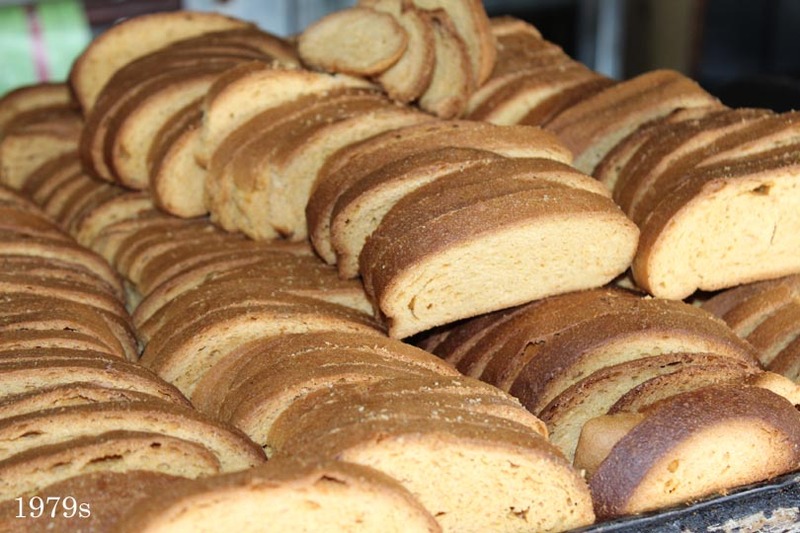 The bakery guy just placed the Rusk tray in front me and the result was these two photographs.